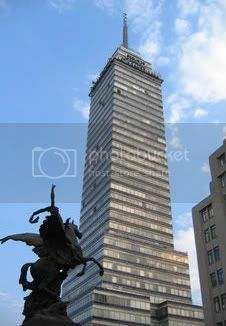 We've been atop a few huge towers that overlook impressive skylines-- including Seattle's Space Needle and San Antonio's Tower of the Americas--but by far the coolest we've been to is the Torre Latinoamericana in Mexico City. It's history, views from almost 600 feet, and interesting museum make it a must-see in the city. Sure, the Torre now sits in the middle of the bustling megalopolis. But way back in the day the site was Moctezuma's zoo filled with beautiful gardens and exotic animals. When the Spanish arrived, they turned it into a convent and church. The convent was demolished in modern times, but the San Francisco church still sits behind the huge Torre. 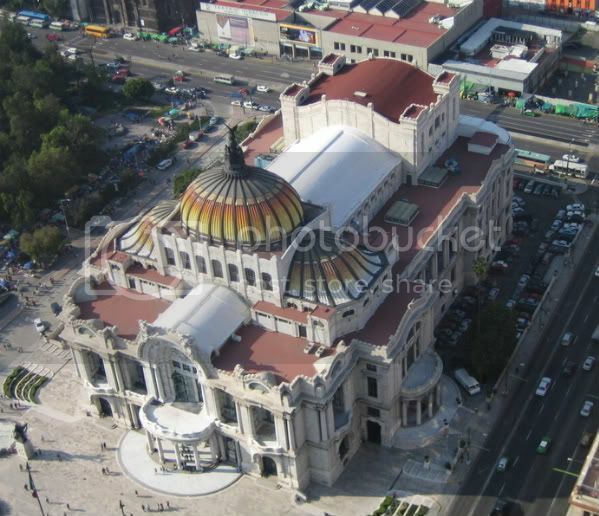 The Palacio de Bellas Artes from the 42nd floor of the Torre. 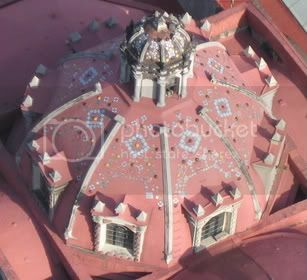 Check out the intricate details on top of these domes. It's a shame no one gets to appreciate this artwork from ground level. 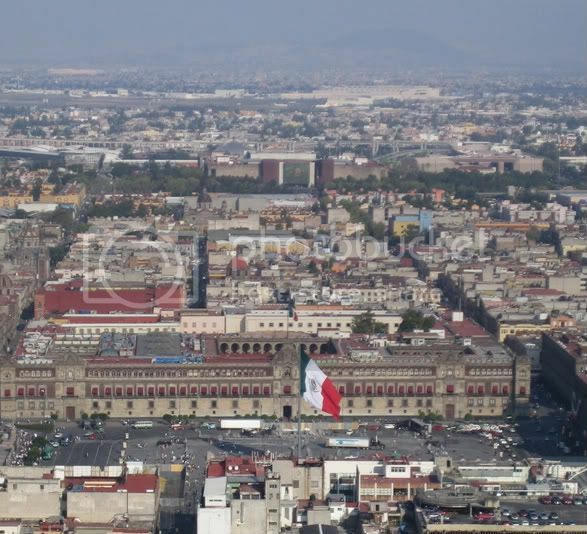 View of the heart of Mexico City, the Zocalo.